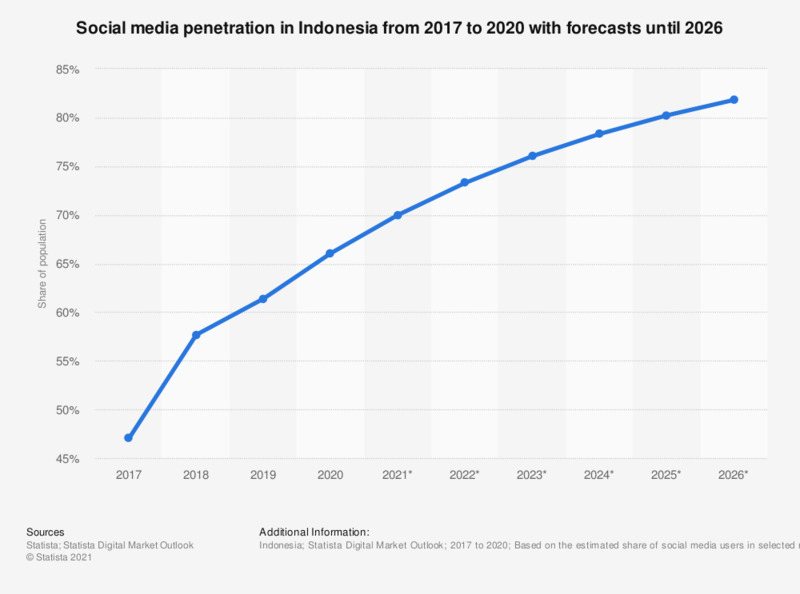 This statistic presents the social networking reach in Indonesia from 2017 to 2023. In 2017, 28 percent of the population in the country accessed social media. In 2019, this share is projected to reach 32 percent.